Enjoy our free tips on Spring Cleaning...Call us if you want help. It's that time of year: Spring is in the air! Whether you're a heavy duty net surfer or an occasional e-mailer, it's time to shake the cobwebs off your PC and get ready for a smoother, hassle free computer experience this summer. To that end, here are five tips that will help keep you from tearing your hair out over computer problems. A computer is an electrical device, and like all electrical devices it can overheat. I had a recent experience that illustrates what can happen when a computer overheats. I was doing some work on my laptop when it suddenly, and all by itself, just shut down. This perplexed me because. I run maintenance on my compute all the time. Why would it shut down? Did I miss a virus? I ran several scans and did some system checks, but all was fine, so I let it go. The next day it did the same thing and that really got my attention. I started looking at possible hardware issues, and sure enough, found the exhaust fan clogged up with dirt, hair, and who knows what else. There was also a gooey film (Coca Cola®?) on the wiring, keyboard, and other components. As I spent the next hour cleaning the hardware I was struck with the thought of how much we take our computers for granted. We forget they are just machines, and like all machines need occasional maintenance. I made a mental note to include it in this article, finished my work and presto! No more mysterious shutdowns. Here are some tips to follow that will keep your computer hardware functioning as it should. 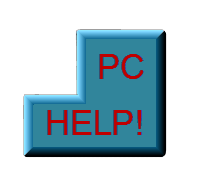 Note: If doing regular maintenance seems daunting, fear not, PC Help For All will walk you through it for free. Tip #1: Make sure there's room around all sides of the computer for the air to flow freely. On laptops the air is vented through the sides and underneath. This means you'll need good airflow under, as well as on the sides. If you have a tower, or desktop PC, make sure the air flows freely behind the tower, because that's where the exhaust vents. Inadequate ventilation causes warm or hot air to build up in the area, and this gets recycled into the computer. Eventually the tower will overheat. Tip #2: Protect your computer from dirt and dust, soda dribbles (soda fizz can spray up into the air and settle on the keyboard or other areas), smoke, and anything else that will gunk it up. These things are the biggest cause of PC temperature issues because they interfere with your computer's cooling system. Tip #3: Be gentle with the computer. Often, familiarity breeds contempt and we do things we wish we wouldn't have because we grow used to the convenience of owning a PC. When you get frustrated with the computer don't chuck the mouse at a wall, or slam the lid; instead bang your head on the desk three times. That'll cool you off! Tip #4: Use your system defragmentation utility weekly. Whenever you change, move, copy or delete a file, pieces of the file are placed in various locations in the system. I bit here a bit there--that's why it's called fragmentation. The system also keeps track of where something was so it can put it back. It's helpful in the short run, but weeks, months, or years later there can be thousands or even more of these fragments on your drive. Tracking takes space and finding all the pieces of a single file can slow the system down. A defragmentation hunts through your free space, collects those file pieces and connects them. It also cleans up the tracking. This frees up space your computer didn't know it had and speeds up processing time by compressing all remaining data into a more compact area of the disk. Defragmentation makes it so your CPU doesn't have to hunt for information you need that is strewn about. Tip #5: Use the best antivirus software you can. "But," you ask, "How can a virus mess up my hardware? It's just a program." Malicious programs can destroy hardware by overwriting, or bypassing a computer's thermal emergency shutdown procedure in the BIOS system of your computer. This "failsafe" is designed to shut down hardware if it gets too hot. Once it's shut down, the CPU of your computer overheats, and fries your computer. In today's world it's more important than ever before to use the best antivirus software. There are bad people out there who will destroy your computer, steal your identity, and rob your bank account if they can. Don't be a victim who gets "hacked. ; it happens more than you think and usually comes from some third world country where our government has no power to prosecute and recover. 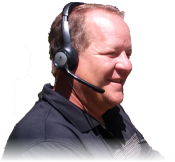 I recommend the highest rated home security, Corporate Grade Security. This state of the art security is available to the general public, and an absolute must. There are many things it does better.